The harmful effects of smoking begin with the first puff of smoke and lead to a variety of long-term illnesses from heart and lung diseases to cancer. The detrimental effects on blood circulation, breathing and body organs can begin to mitigate within 20 minutes of smoking cessation. If continued, those beginning reversals of the effects of smoking can be carried on to the point that 15 years from quitting smoking, a former smoker’s risk of coronary disease is the same as a nonsmoker’s, according to the Centers for Disease Control and Prevention (CDC). Within 20 minutes of smoking a cigarette, the heightened blood pressure from nicotine descends to a normal range. With the first few puffs of smoke, the smoker’s blood pressure increases from 10 to 15 percent, according to Smoking Cessation. That increase in blood pressure leads to more risk of a heart attack or stroke. But after 20 minutes, blood pressure returns to whatever is the normal range for the smoker and blood vessels can continue to function at healthy pressure levels as long as smoking cessation continues. A definite lessening chance of heart attack is achieved within 24 hours. After a smoker has put out her cigarette, in 20 minutes her heart rate decreases to her normal rate. Immediately after she begins smoking, a person’s heart rate beats 10 to 25 times more per minute. Nicotine and other chemicals in tobacco smoke spur the heart to beat faster and with less regularity. The increased heart rate causes both an increased possibility of cardiac arrhythmia and heart attack. But once 20 minutes of smoking cessation has begun, the CDC states heartbeats are back to normal. Of course, if smoking is begun again, heart rate and the dangers involved continue. 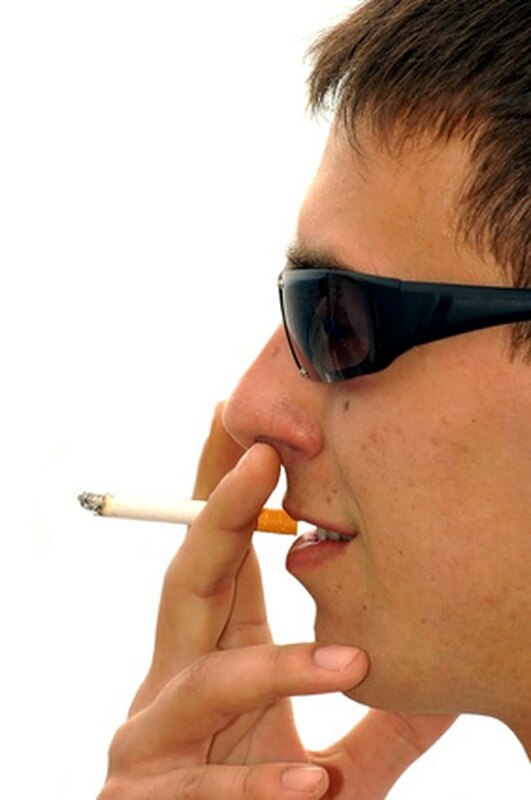 When you first start smoking, blood vessels are constricted. After 20 minutes of smoke cessation, the vessel constriction reduces so that along with blood pressure and heart rate, body temperature can go back to normal. The smoker’s hands and feet may have felt colder with the reduced blood flow to extremities, but after 20 minutes and normalized blood and oxygen flow, the temperature of hands and feet should return to normal, according to Quit Smoking Support. The long- term effects of smoking and constricted blood vessels on the skin is increased wrinkling and a look of rapid aging. Within 20 minutes of smoking cessation, with normalized oxygen delivery through blood vessels to the skin, that rapid aging begins to return to normal. What Happens After 15 Days of Not Smoking? What Are the Effects of Smoking Menthol Cigarettes?